The children's court in Dar-es Salaam, Tanzania, on Friday threw out the case in which Hamisa Mobetto [read Mobeyroh] was demanding for UGX 8million per month as child support fees. 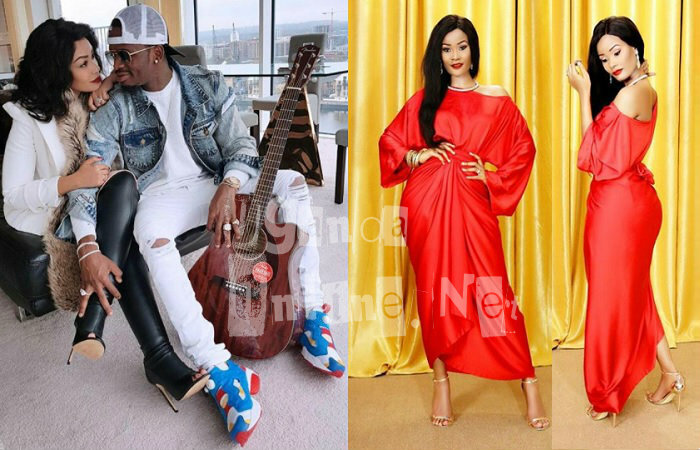 Hamisa has a child with Diamond Platnumz and just recently, the Bongo Flava star who was earlier denying for fear of the repercussions from his new baby mama, Zari Hassan, later admitted fathering the child. It was then that Hamisa rushed to court and through her lawyers, the mom of two was demanding that the TZ star pays her a monthly fee of Uganda shillings 8million, but the Resident Magistrate, Devotha Kisoka, dismissed the case after hearing both sides. When Hamisa took the matter to court, Diamond Platnumz through his lawyers told the court that the case had been filed using a wrong Child's Act Prescription. I'm also taking care of the child, he added. Platnumz said that the 8million Hamisa was asking for was way too much, he could not afford. When the good news got to Diamond Platnumz and Zari who are currently in the UK, it called for a celebration. Diamond was a bit disturbed before the ruling not knowing what exactly court could decide, he was nursing a terrible migraine at the time. Zari told her baby daddy, 'May be you need some puppy love......gatchu you love." You all remember the pic that forced Diamond Platnumz to admit that he was the father of Hamisa's child, it's not any different from the ''Done'' pic. "Instead of being rich at once It's better to be poor first, Now the good news I have decided to open my own boutique, send my own name Inshallah will grow like my photo on my head."